One polished, stamped, and tested 14 karat white gold ring with a bright finish. 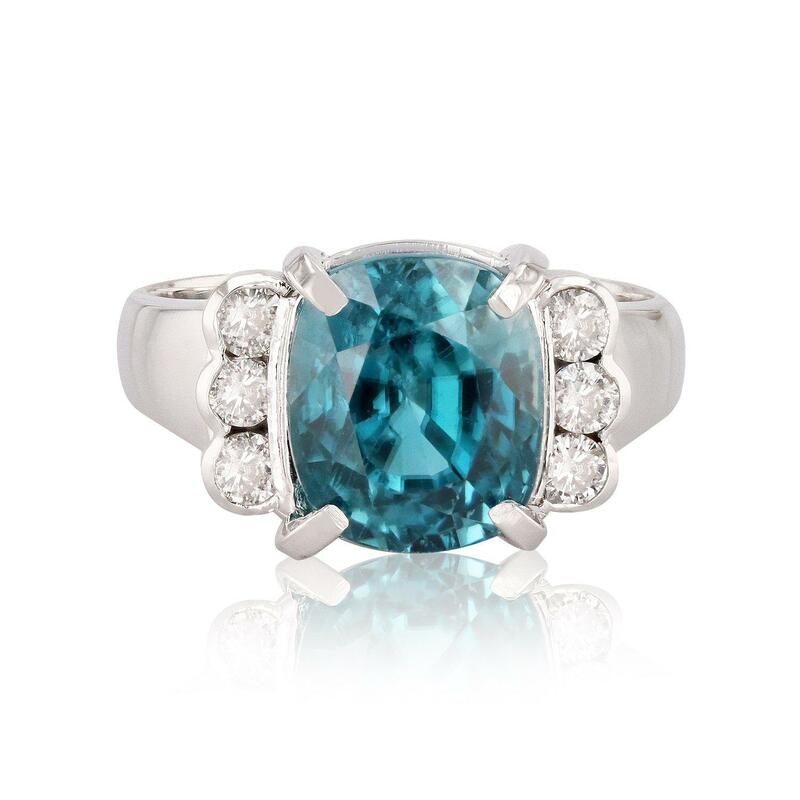 The ring is mounted with: 1 genuine blue zircon center stone weighing approximately 7.30 carat, and 6 genuine round diamonds weighing approximately 0.31 carats. This item weighs 5.7 grams, condition is new, excellent workmanship.